Virgo men are often very careful when selecting a mate and they are always looking for one they can spend the rest of their life with. Therefore, it tends to take them quite some time before they can make a decision and express their feelings. In addition, a Virgo man sometimes can be very mysterious and it is never easy to decode him. If you are receiving mixed signals from a Virgo guy you may find it helpful to check out my review here on Virgo men characteristics and what makes them tick! Other than that, a Virgo man is very sensitive, honest and trustworthy. What’s more, he loves to have his space and dislikes needy and possessive women. So, if you are looking to share your feelings with a Virgo guy, it is important that you take his personality into consideration. In addition, always remember that saying what you feel will either wreck your connection with a Virgo male or intensify it. In this article, you are going to gain insights into how to share feelings with a Virgo man and how to get him to ‘open up’ and let you know what he is ‘really’ thinking. Please keep reading to find out more. A Virgo male is very respectful. Therefore, when sharing your thoughts and feelings with him, it is important that you do it respectfully. There is really no point in getting emotional and shouting to try to make a point. Staying calm will get his respect and ensure that you maintain a healthy atmosphere for your discussion with your Virgo boyfriend. Your non-verbal communication also plays a big role in how you communicate your feelings. Losing your temper and throwing things will only reduce his regard for you. Therefore, always remember to be mindful of your facial expressions, the tone of voice, and body language when expressing yourself to a Virgo man. Not only do Virgo men admire honesty, but they are also very intuitive. Therefore, genuineness and truthfulness are highly important when sharing your thoughts and feelings with your Virgo soul mate. Your Virgo boyfriend will certainly not be very happy and receptive if he realizes that you are playing mind games. He needs to know that you are open and consistent in what you say. In addition, once you get to know him, you do not need to fear to be vulnerable. Virgo guy is highly sensitive. See some other famous Virgo men here. Therefore, you need to be careful with how you handle disagreements by recognizing statements that are likely to trigger anger. It is important that you not only avoid attacking him but also that you take into consideration his point of view and expectations. In other words, it is important that you avoid making your discussion with your Virgo partner one-sided by assuming that you are always right. Helpful link: Things you need to know when dating a Virgo guy. Virgo men love criticizing others, but they dislike been criticized. So, when expressing your feelings of anger or frustration, it is important that you avoid blaming your Virgo guy. On the contrary, it is important that you focus on talking about what you think or feel without making your statements about him and what he is doing wrong. In other words, it is important that you take responsibility or ownership of your feelings. The idea is to talk to him in a way that will encourage him to listen to you. Even when angry, it is important that you explain to your Virgo partner about how he has hurt your feelings in a calm way. This is important because Virgo men are not very good at dealing with emotional people. A Virgo guy will only hear you out if you are able to stay calm and collected while explaining how you feel. Therefore, it is important that you think beforehand, what you should say to him and how you will say it. See also: How to seduce a Virgo man using text messages. However, it is important that you wait until you cool down and think things through. This helps to ensure that you have a clearer picture of what is bothering you. Virgo men love to have their personal space and time. So, before approaching him for a discussion, it is important that you assess whether he is ready to talk with you. It is always best to make a time to talk so problems can be ironed out without distractions, or with him making an excuse to be somewhere else. In addition, Virgo men dislike clingy and needy partners. Therefore, it is important that you avoid smothering him because he will withdraw. On the other hand, when you give your Virgo lover space and time, it helps him calm down and in the process helps to reassess himself and his actions. Furthermore, giving yourself space and time to calm down, for instance, prevents you from saying regretful things and lashing out at your Virgo partner. Understanding your feelings and owning them is highly important more so when dealing with the sensitive and intuitive Virgo male. How you express your feelings can destroy your relationship or strengthen your bond with your Virgo partner. The real secret of a lasting relationship with a man born under the sign of Virgo is to understand, his character. I do believe that by focusing on the tips above, you will be able to communicate effectively with your Virgo man. 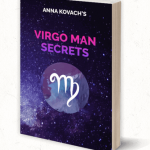 However, I recently reviewed a manual by a leading astrologist and relationship expert, which covers everything a woman needs to know to ensure a long-term commitment with a Virgo guy. 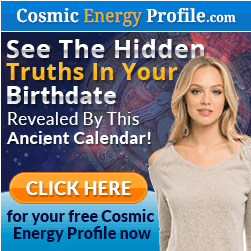 You can read it Here, and I hope you find the answers you are seeking. There are lots more articles regarding situations with a Virgo man on my website https://virgomen.net. Check it out, and feel free to contact me in comments if you need any other help.